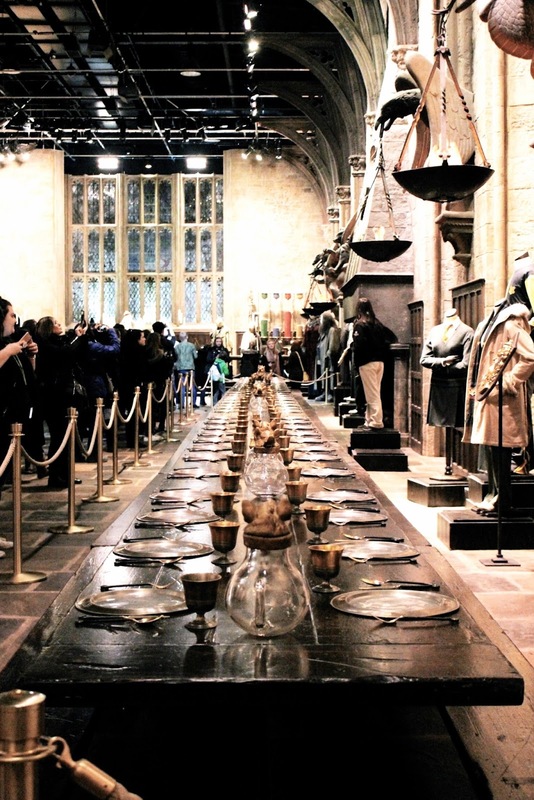 Although I was looking forward to the studio tour, I seriously hadn't prepared myself for how amazing it would be! More than anything, I loved the unanimous sense of enthusiasm and cocktail of languages heard at every turn. After a brief film played out in a small cinema hinting at what was to come, as well as showing a few behind-the-scenes clips of life on set, the doors to the Grand Hall opened and started what became three and a half hours of pure magic (excuse the pun). 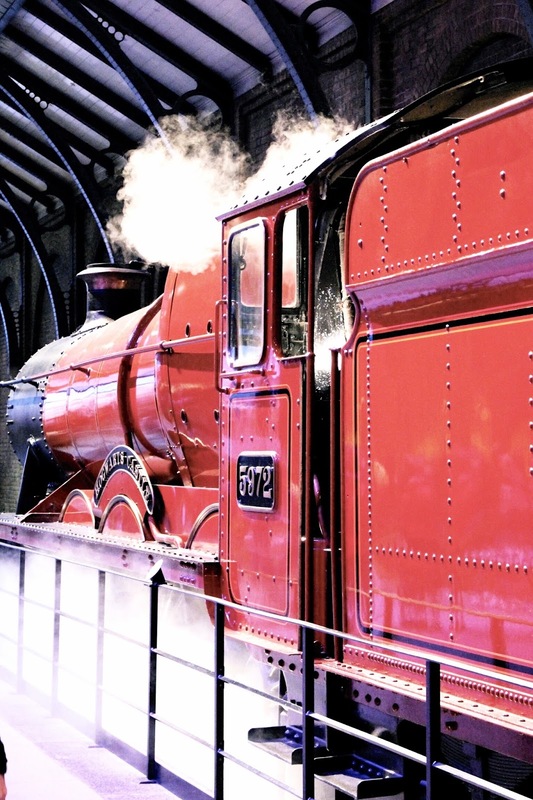 Having browsed various Harry Potter related hashtags on Instagram beforehand (as you do), I was really looking forward to checking out the steam-pumping Hogwarts Express, as well as pushing my way through Platform 9 3/4! In hindsight, it looks as though I'm ditching the trolley through the wall and ready to make a run for it in the opposite direction, but surely that warrants another trip to the Studio for a second attempt at some point?! Booking an evening slot was definitely the right decision, as it meant that when the tour momentarily moved outside, it was done so under the cover of darkness - very atmospheric! I'll admit, with so many memories from the film dotted around, I got goosebumps at that point, and not only because I'd just finished a tasty Butter Beer Ice Cream. From there, you're taken back indoors where you discover the illuminated row of shops (amazing! 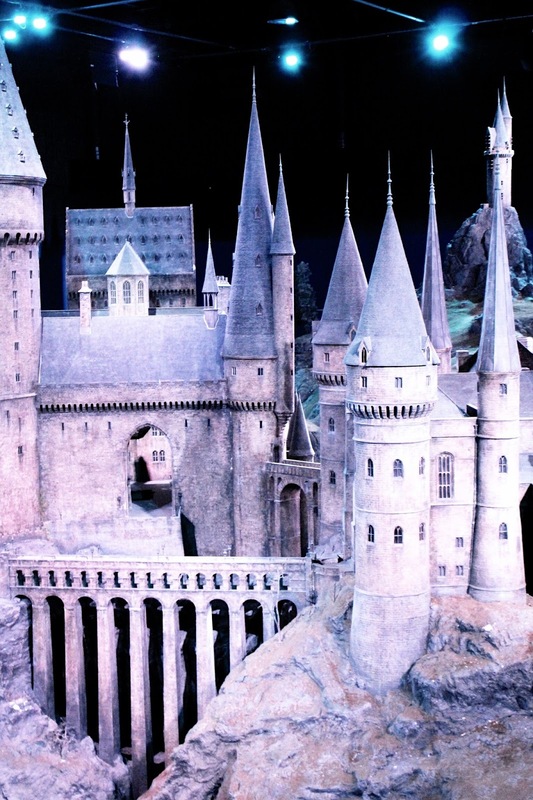 ), fascinating information on the animatronics used, a scale model of Hogwarts Castle and finally a huge display of wand boxes. 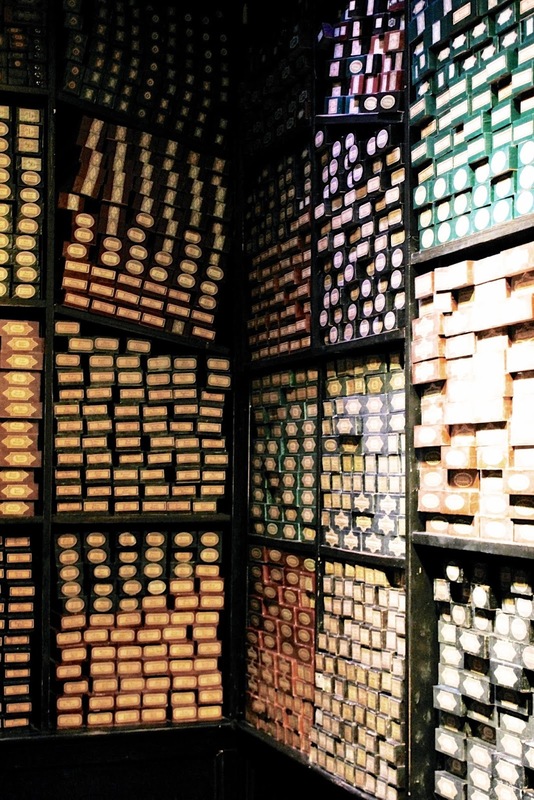 Interestingly, the wand boxes lined up in Ollivander's Wand Shop were each individually engraved and even more interestingly, were engraved with the names of everyone who worked on the film sets! Who knew?! Needless to say, I'm hugely pleased we ended up booking tickets after our Harry Potter film marathon! With so many things being praised, it's difficult to know whether some tours/exhibitions are worth the hype - trust me when I say this IS worth the hype. I’m so jealous! It looks so magical! 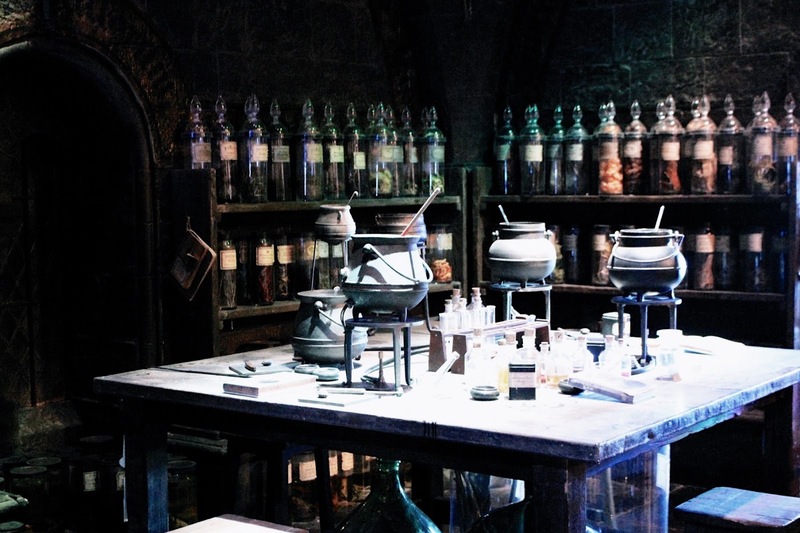 Were you able to purchase any wands? I went to Hogsmeade & Diagon Alley in USJ & bought a bunch of wands from the store there (no idea why, I just had to have them haha) but I suppose since you visited the actual studio, probably not. I love the photo of you going through the platform! & how great is butterbeer! Is it what you thought it would taste like? Butterbeer ice cream sounds amazing! Having tried both, I can confirm the ice cream is WAY better - it tasted a little bit like.. a faint caramel?! I didn't even realise this existed! How cool. Can't tell you how many photos I've seen of people pushing trolleys through station walls hahaha. Is there another set up of this somewhere in London because I could swear I've seen shots of that platform at an actual station?! Either way this looks like such a worthwhile visit. Great pictures, I'm glad you had a good time! I live quite close by so have been a couple of times and it always makes for a fun day out!! I truely want to visit it one day ! It seems so amazing ! Thanks to share theses awesomes pictureS. You do know all the best spots in London, do you??? Another wonderful discovery! We should visit some place together one day! Ah thanks so much Kira - though I feel in the dark to most of the best places in London! Totally, I'd love that! Omgoshhhhhh!! This place looks incredible, Gabrielle! My mouth literally dropped looking at your photos! I went to Harry Potter World at Universal Studios but it doesn't compare to this at all!! Wow this looks amazing! I absolutely loved the HP books and movies. Definitely need to add this to my 'To Do' list next time we're in London! Harry Potter is truly amazing and still one of my favorites even after all these years... I just recently rewatched all 8 movies over the holidays! I am so jealous of your tour, thinking I need to do this next time I'm in London!! I agree that the studio tour is worth the hype. I went on the tour about two years ago and although I can tell things have changed over time I still absolutely loved it when I went as well. It's a must see for any die hard potter fans for sure. OMG I am feeling so envious! 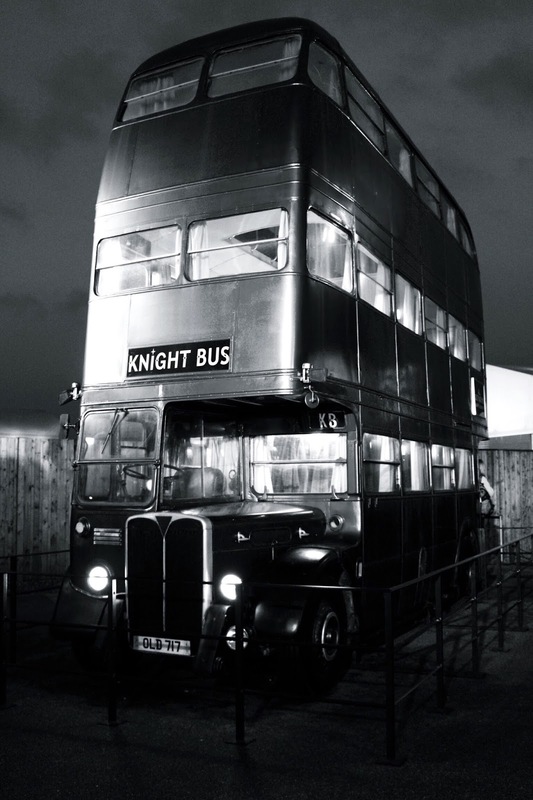 I have always been a huge fan of Harry Potter, and WB Harry Potter Tour has always been on my bucket list. It must have been exciting having a look at behind-the-scenes, and looking at everything up-close. 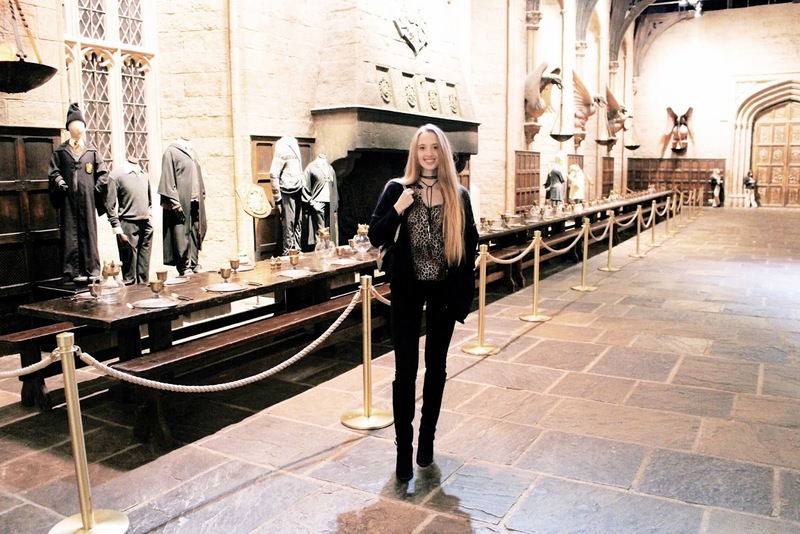 The ambiance and everything are sooo Harry Potter-ish, it looks like you're entering the wizardry world! Great photos, I love 'em! 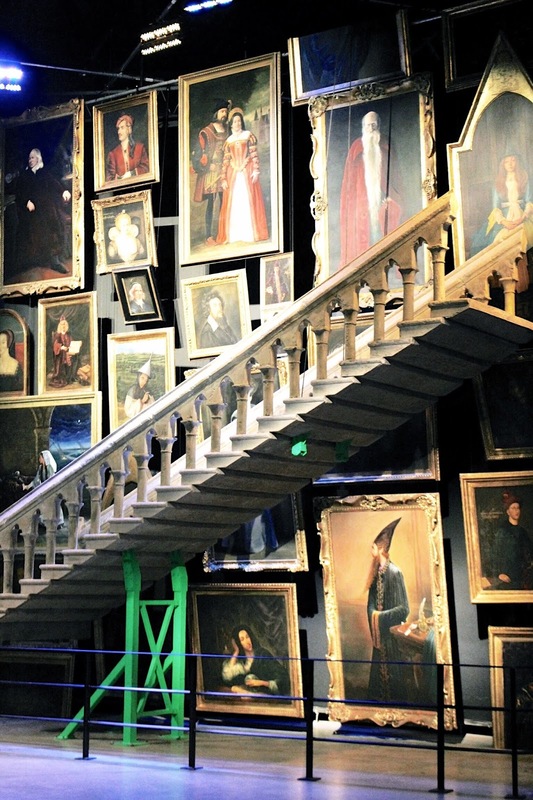 This looks like such a fun experience and must have been even better after having watched all 7 Harry Potter movies in only 48 hours (seriously impressed!). It's so awesome that you were able to visit during the evening. It makes everything feel so much more magical, doesn't it? I'm so jealous now. I love Harry Potter. That tour must have been amazing. This looks so cool and fun, I want to go! This looks such a great and fun experience !! So cool ! I loved going here so much, it was so much more magical and interesting than I had even thought. I haven't been since the Hogwarts Express has been there though so that's definitely a good excuse for another visit I think! This looks like so much fun! 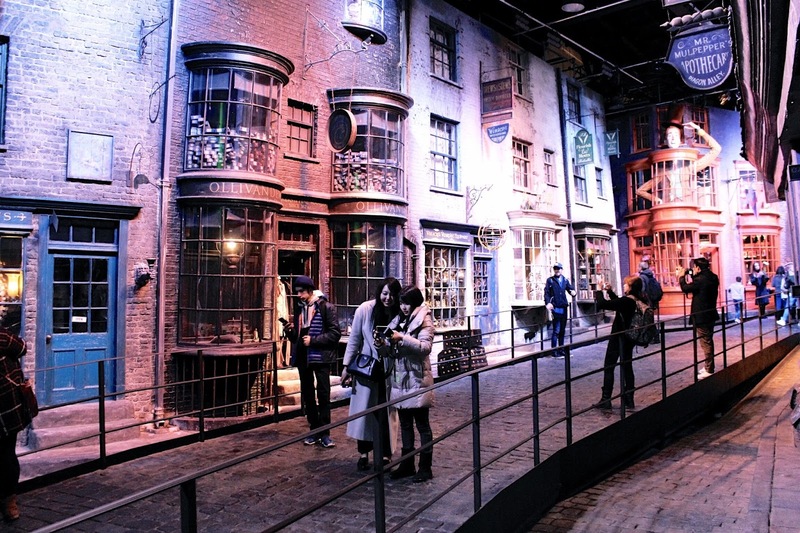 I love this so much especially how you feel like you are part of the Harry Potter world just by going here. 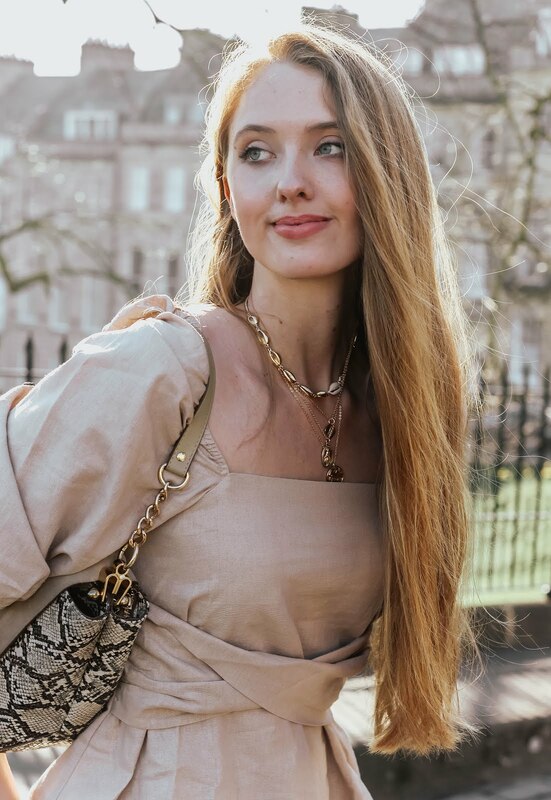 :) Lovely photos you look gorgeous x http://www.bauchlefashion.com/2017/02/logo-statment.html I love your boots! This looks so magical! When I was in London I didn't have a lot of time so I just did the platform 9 3/4 at King's Cross. All that said, I'm a litttleee jealous of this ;) Thanks for sharing the photos, I totally see why it's worth the hype. 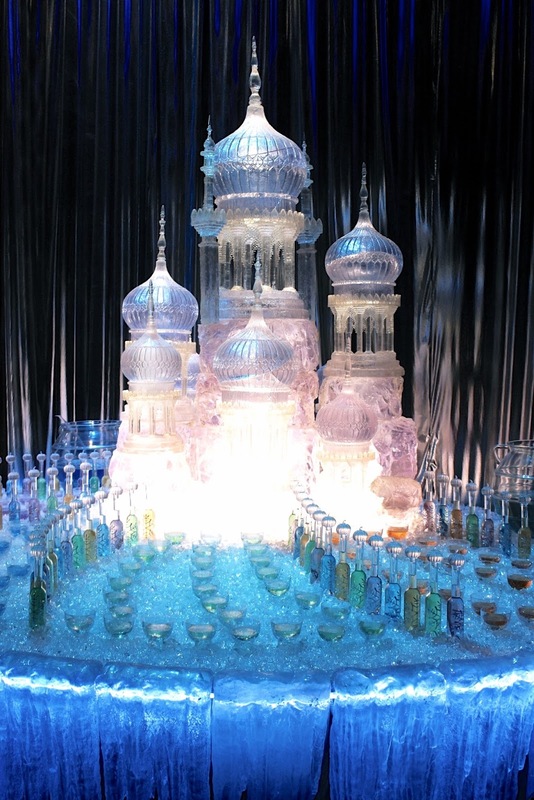 This looks like such an entertaining and magical experience Gabrielle! And the evening really seemed to enhance the whole atmosphere. Thanks for sharing it with us! Ah i love this! this is somewhere ive always wanted to go! Great pics! I wish I could go there someday, I saw a lot of my friends from oversea went there as well! This tour looks like so much fun, I've been meaning to visit for a while and now it makes me want to go even more. It looks amazing there. My kids went on a school trip and then went a second time with their Nan and really enjoyed it! I really want to take them a third time now so that I can go haha. Looks like you had such a fun time. Isn't this the best place in the world?! I went there a few years ago and I loved it so much! <3 HARRY POTTER 4 LIFE! I really love the pictures.So dreamy.They look so great.I really wish I could visit the place some day. I'm a big fan of Harry Potter movies, so I'm sure I would enjoy this tour very much indeed. The movies certainly managed to take us into that fantastical place. 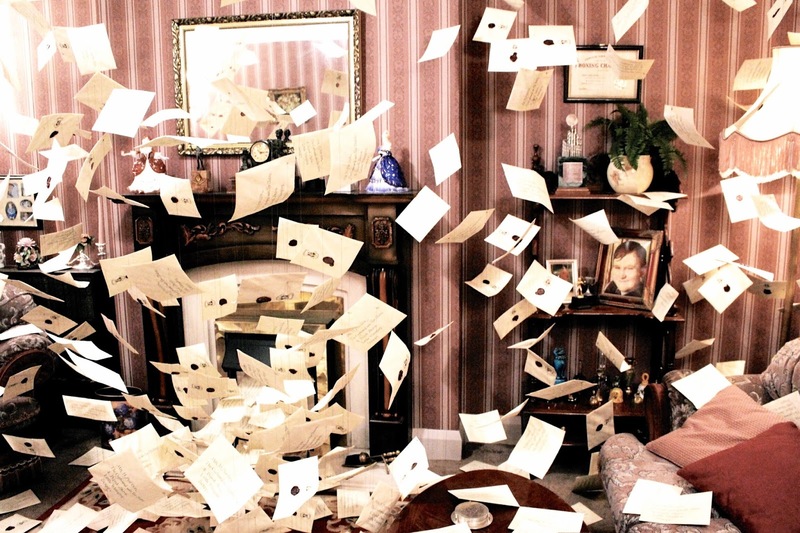 Everything about Harry Potter movies strikes me as perfect...the setting, the casting, the script. I love the photographs you took. It does look like a dreamy place. I imagine that it has its fair share of visitors. One must hear an interesting cocktail of languages there as Harry Potter is such a global phenomena. I always find it relaxing to hear different languages. How cool they inscribes all the names of everyone who worked on the set. That was such a clever detail. I bet that Hogward Express was quite a sight! I wouldn't mind checking those engines myself. I am so jealous!!!!!!!! I love it!!! OMG!! I am geeking out! I'll be in London in October and I am so glad I came across this! Thank you for sharing! Oh girl I couldn't love this post anymore - myself and Ben have re watched the whole HP series (he'd never seen them before! ), and am loving watching them. 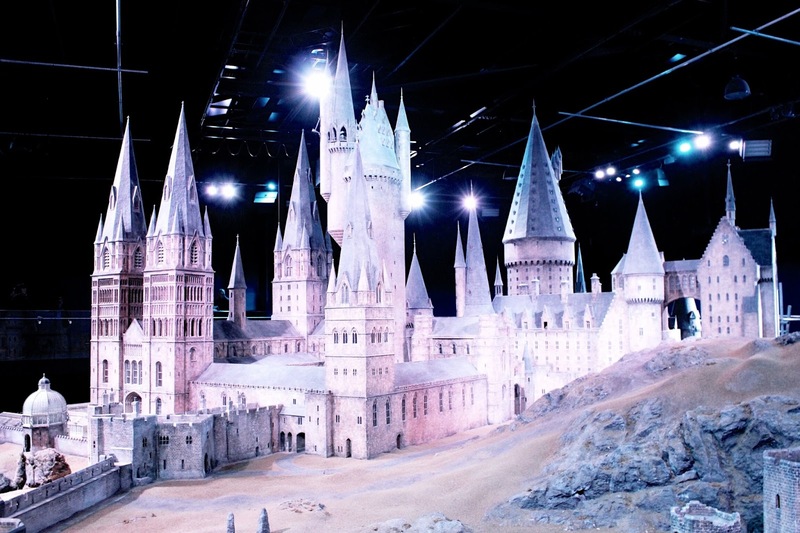 I'm dying to visit the Warner Bros studios - looks amazing! Oh my, it looks so magical and perfect. Need to visit it next time I'm in London. Oh my gosh, this looks like such a fun place to visit! I'm in awe of all the cool details in this setting! Great photos! How exciting! This is definitely on my bucket list, and you've made me want to go even more! I sooooo want to go there so badly!! 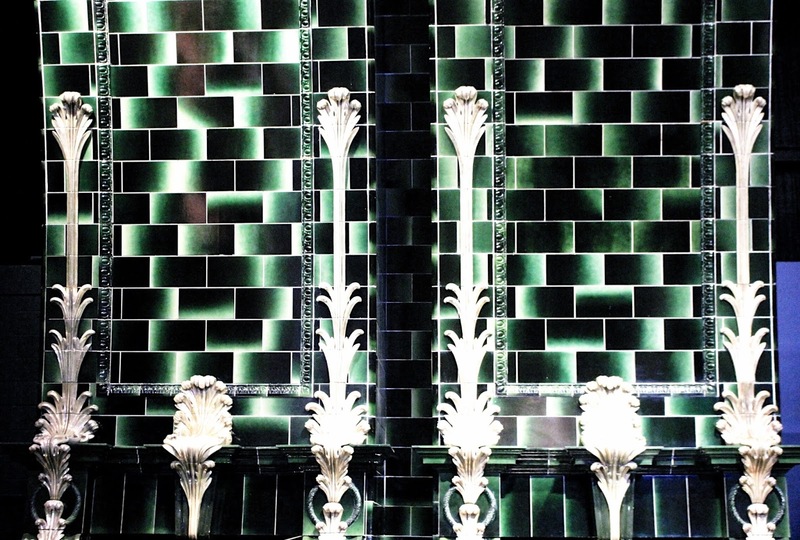 I am such a huge Harry Potter fan and gosh, I am so bummed that I wasn't born in London! Lucky you. I am hoping I will go there someday, hopefully I will not be 70 years old by then.. So glad you went Gabrielle! It is absolutely STUNNING! Must be amazing to see in person. Love the dining hall & portraits especially. I didn't know they did tours at night. So beautiful to see another perspective. I'm a HUGE HP fan so you can imagine me totally fangirling right now. OMG! Io non ho letto la saga...però questo posto è incantevole e magico!